Every once in a while, a mushroom or two (maybe more) would sprout up somewhere in my backyard, and my mum would yell at me to whip out my camera for a few snaps at these tiny organic parasols. 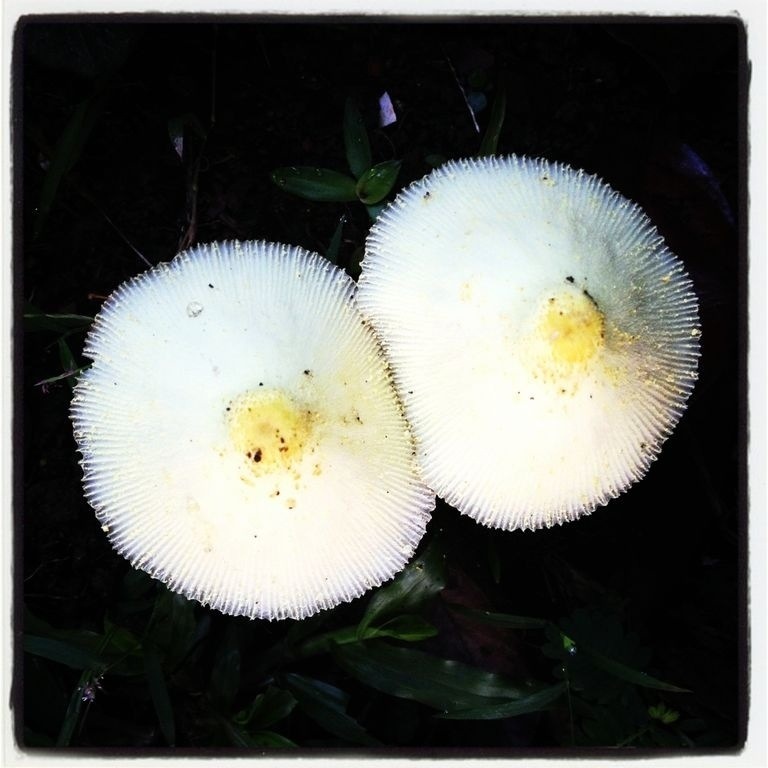 Just this morning, I noticed these two pretty mushrooms near the veggie patch. For one thing, they look suspiciously suggestive. I’ll leave the rest to your imagination. They go with the eggs & bacon!